Take pleasure in preparing delicious feasts for yourself and for the people you care about. 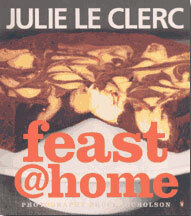 Cook simple, stylish dishes for every occasion, from dinner parties to important celebrations and feast at home with some of Julie Le Clerc’s most favourite recipes. Savour the fragrance and colour that will surround your table.